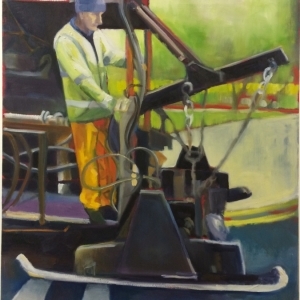 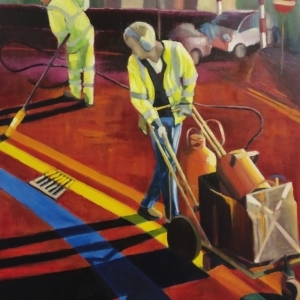 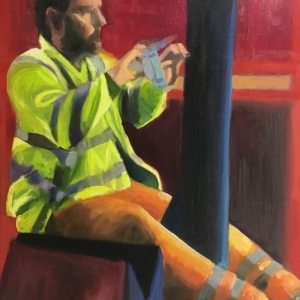 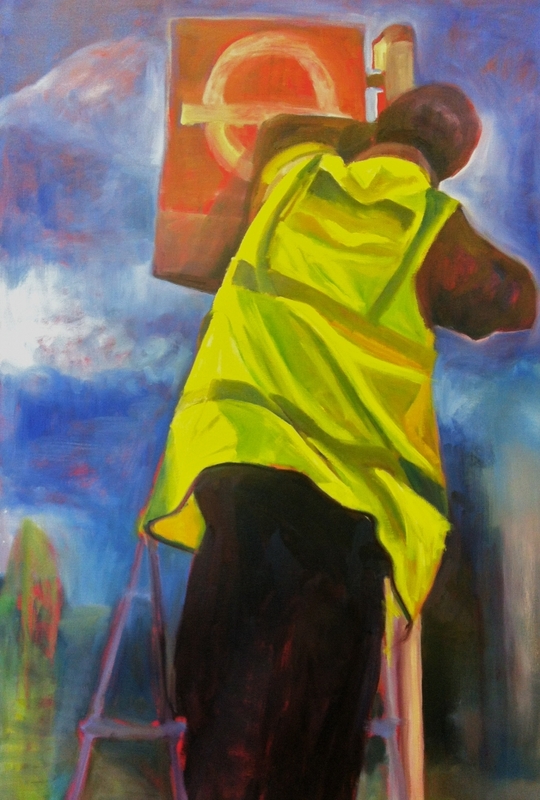 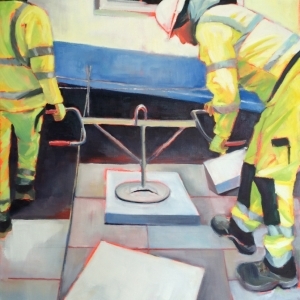 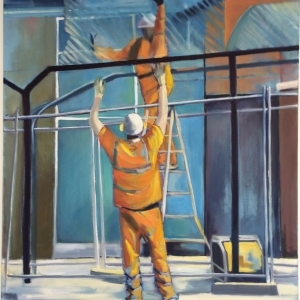 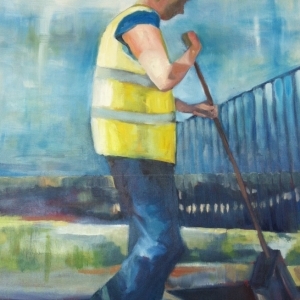 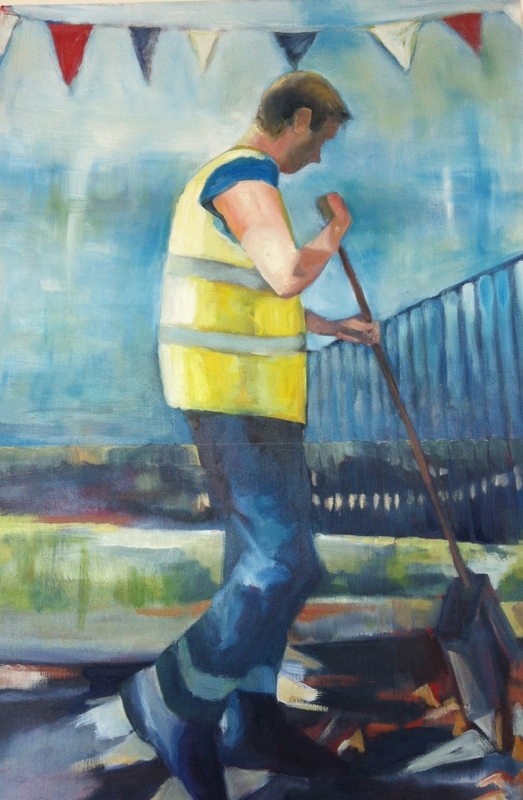 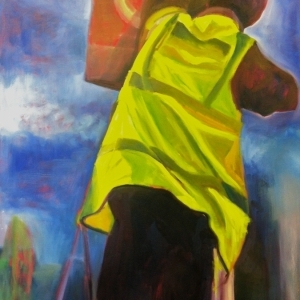 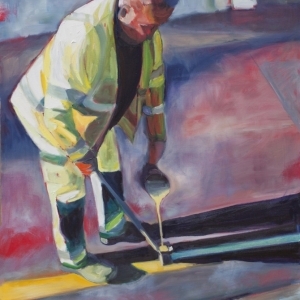 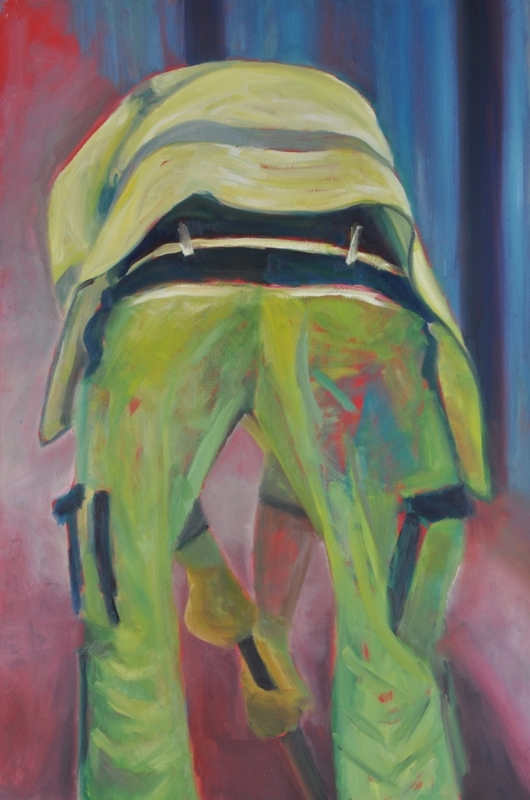 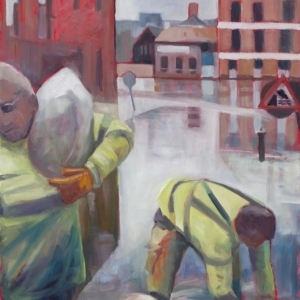 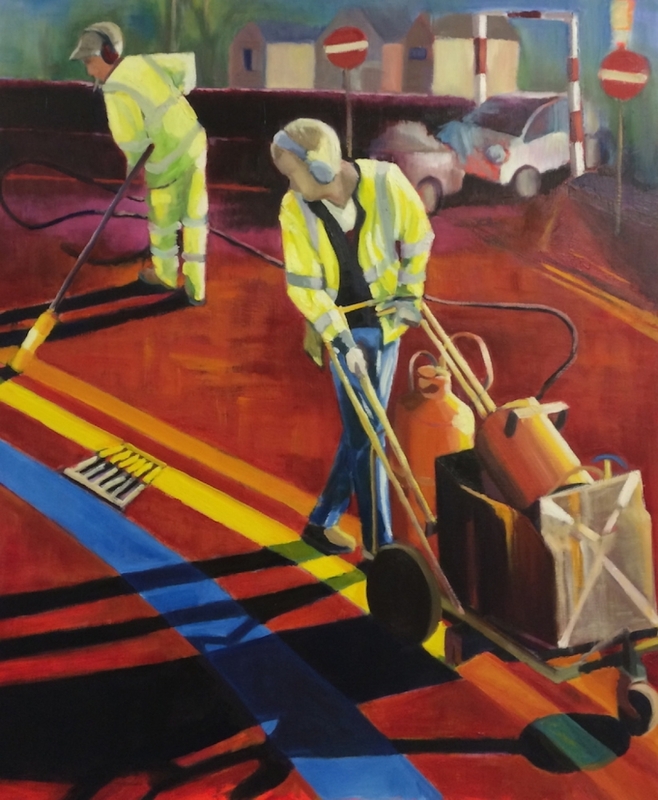 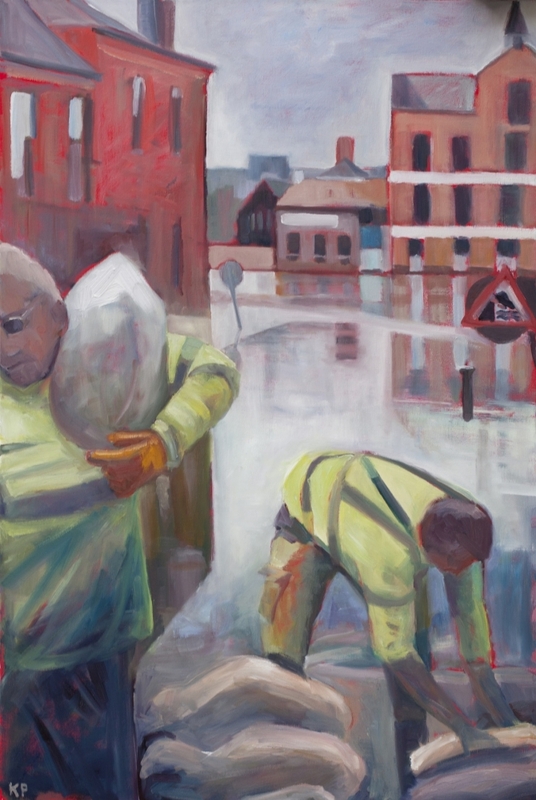 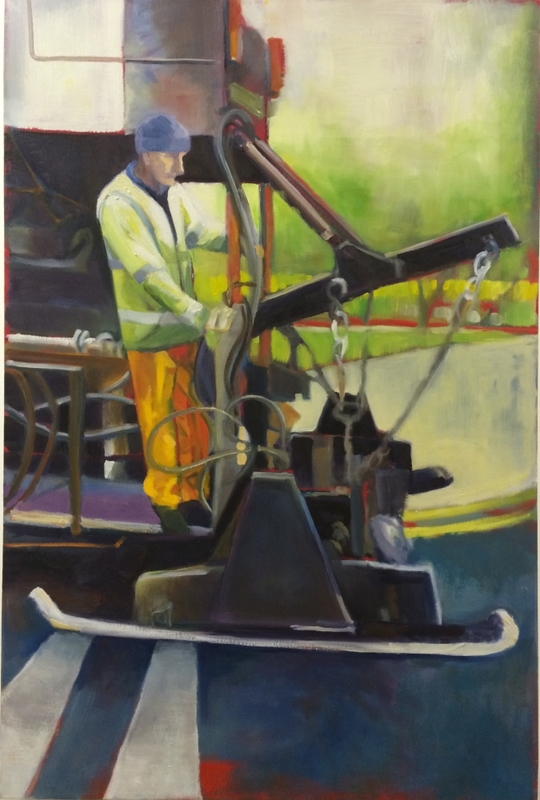 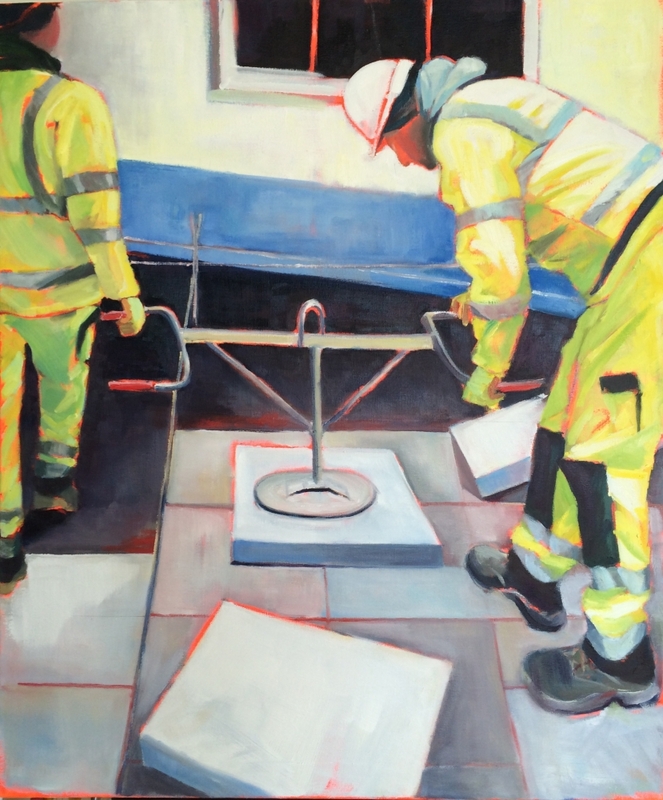 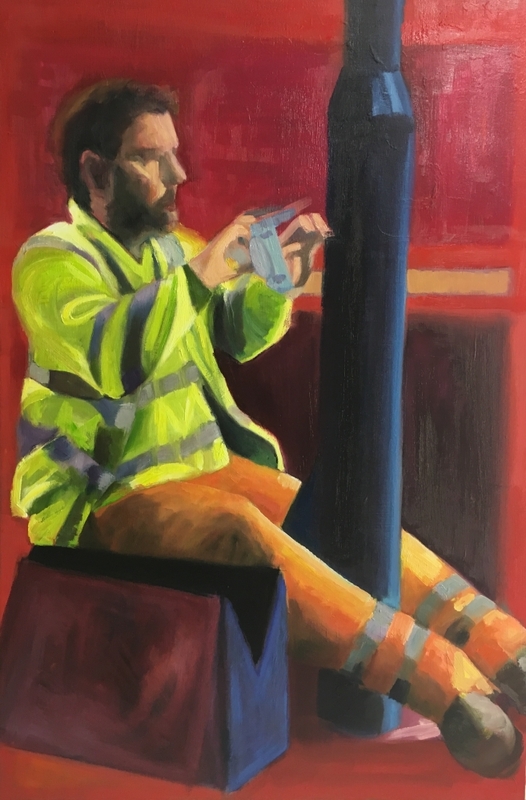 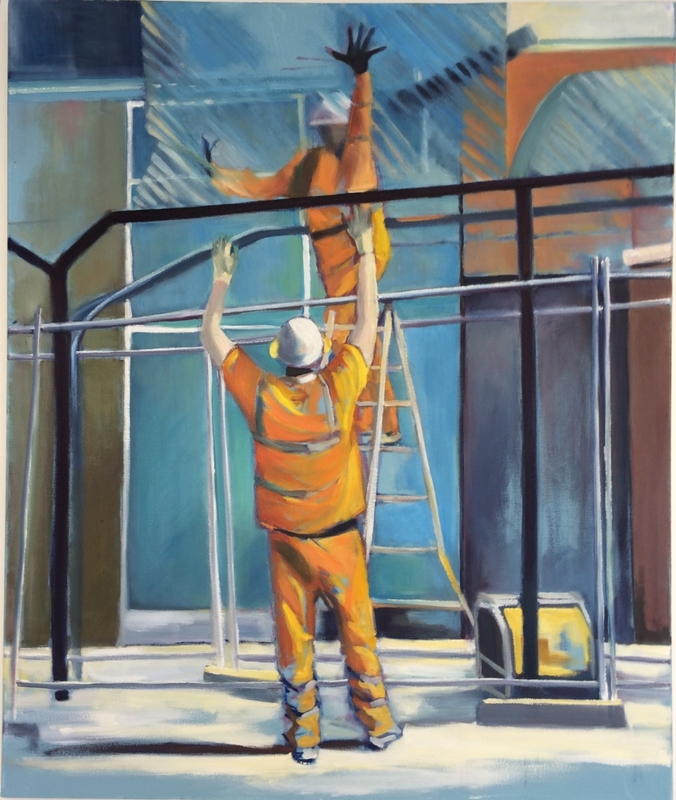 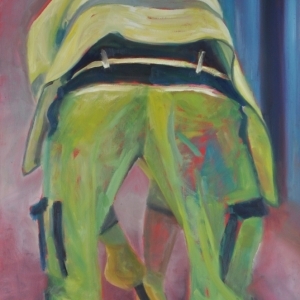 The Public Servants series focuses on construction workers carrying out maintenance to the public highway unnoticed despite their hi-vis clothes. 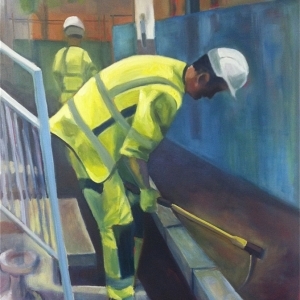 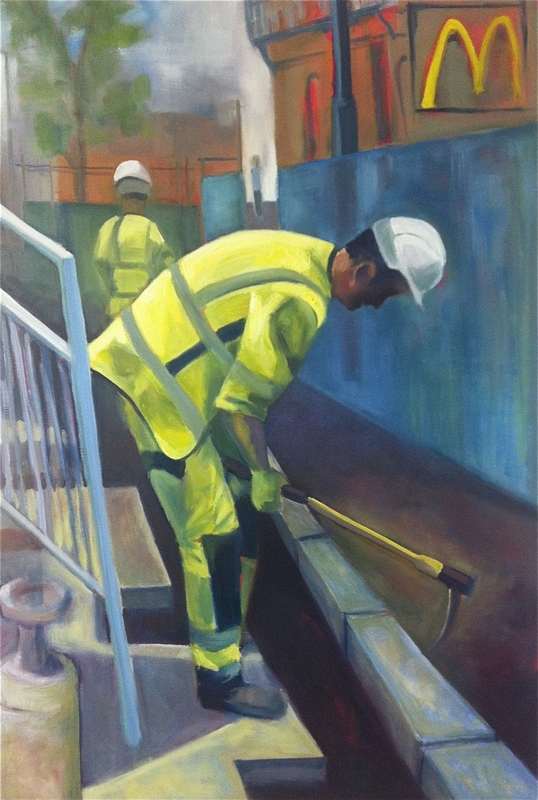 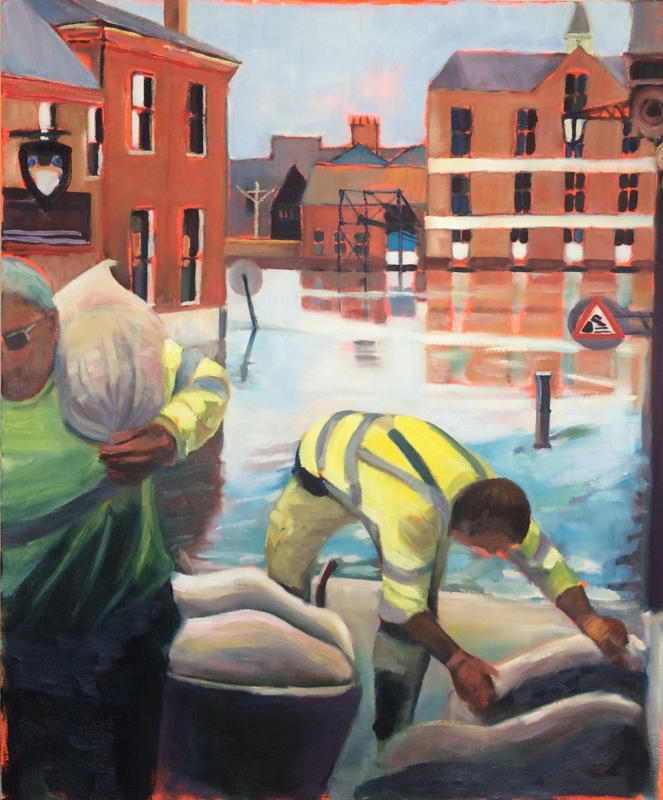 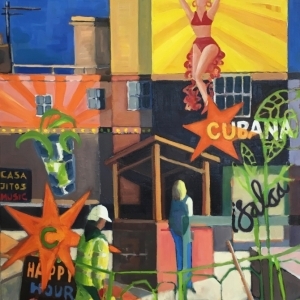 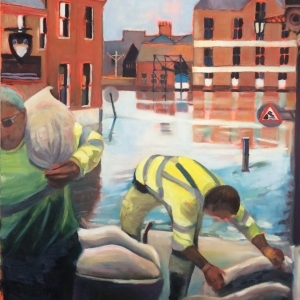 Kate explores this paradox, painting hi-vis workers subjugated by their surroundings, their fluorescent clothes competing with equally vibrant surroundings. 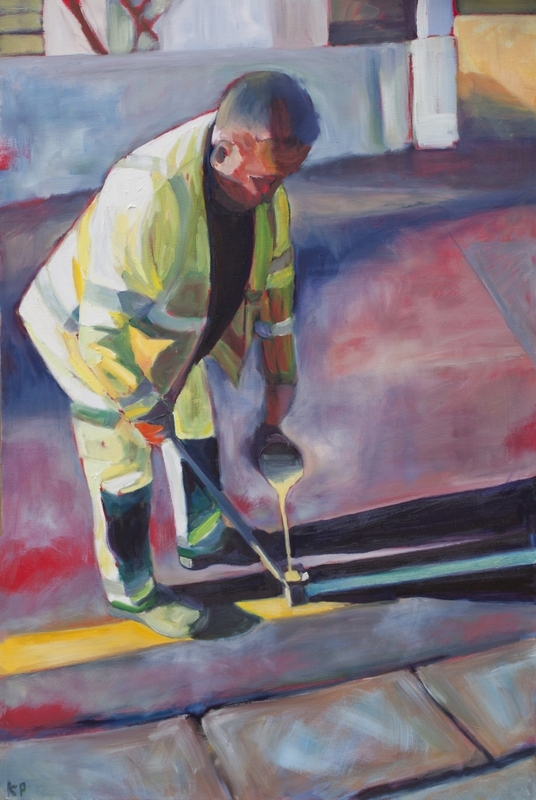 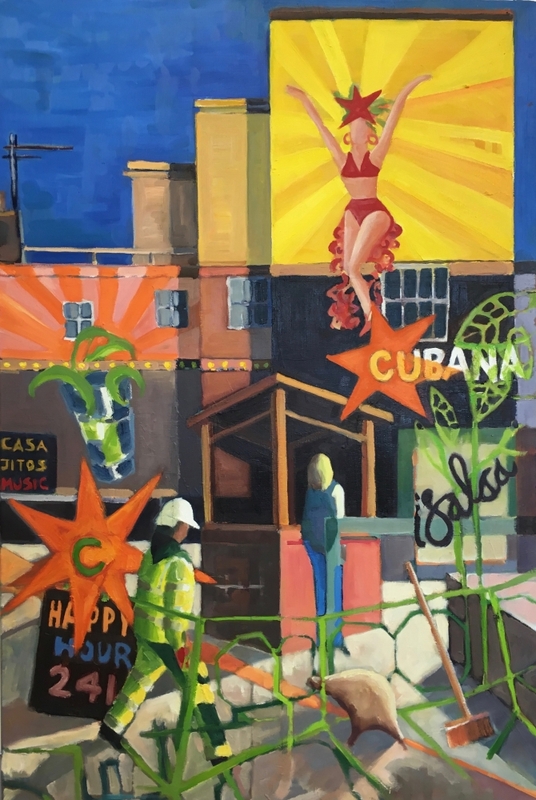 The narrative of these street scenes is conveyed by strong compositions and painterly surfaces.